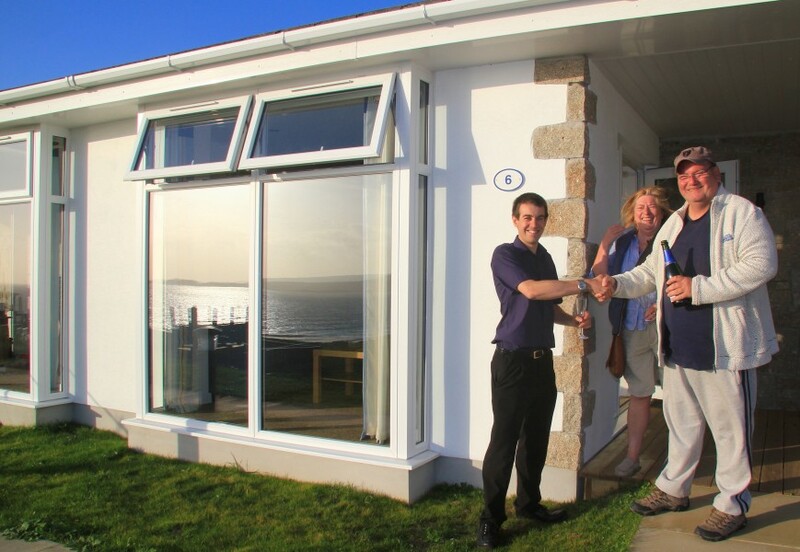 The first visitors to occupy the newly-completed Seafront Lodges arrived on Saturday to enjoy a week’s holiday at Beachside Holiday Park. The semi-detached two-bedroom luxury lodges are of the same design to those built at Beachside three years ago and all boast fantastic views over St Ives Bay – one of the most scenic views in Cornwall. Mr & Mrs Munns from Bath chose to book a holiday in one of the new lodges after staying at Beachside many times in the past. Mr Munns comments “I’ve stayed at Beachside many times over the past 40 years – firstly camping, then in the chalets and I’m now looking forward to staying in one of the new lodges”. Mr & Mrs Munns are pictured with Ben Trenchard, manager at family-run Beachside Holiday Park who says “It’s fantastic to see the new seafront lodges now occupied after a lot of hard work from everyone involved in their construction over the winter”. Featuring a contemporary design, each seafront lodge has its own outdoor deck and is only a couple of minutes walk from one of the best golden sandy beaches in the country. The construction of the lodges are to full building regulations, making them ideal for a holiday at any time of the season and include energy efficient lighting and heating. 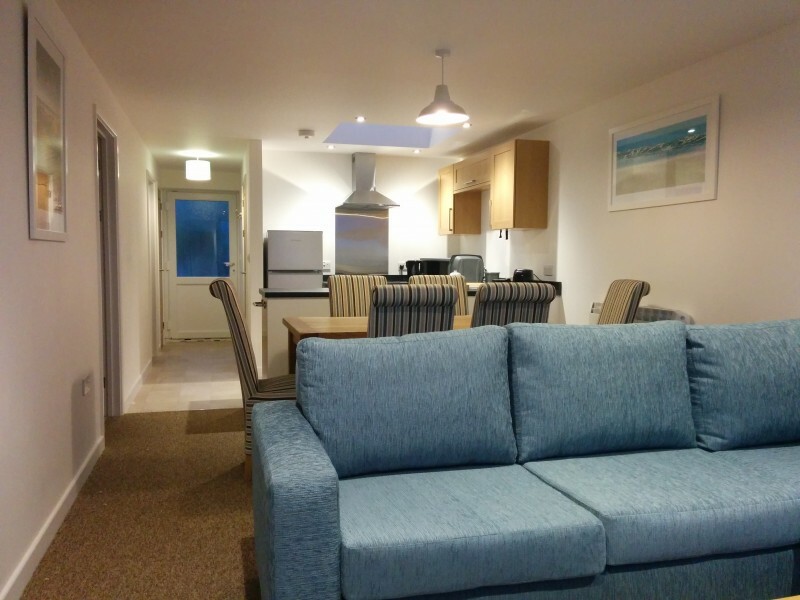 Click here to view full details of our Seafront Lodges and to check availability.